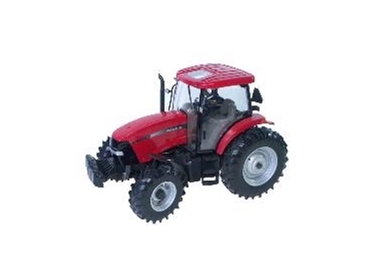 A limited number of the Case IH MXU-125 “Collector Edition” tractor in the large 1/16 scale are available from the Case IH website. This “Collector Edition” tractor model features a glazed cab with a detailed interior, an opening bonnet and rear linkage. Smaller scale versions with less detail are also available.